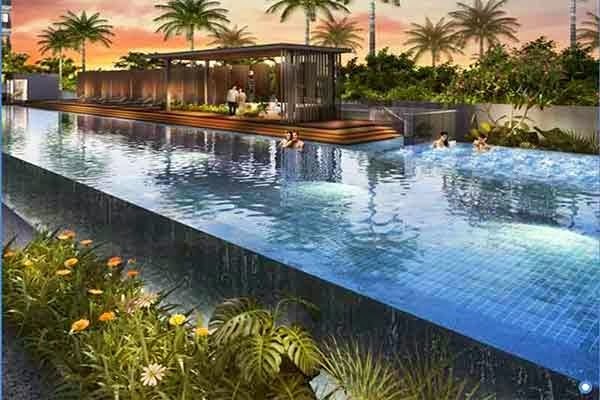 Jade Residences offers the latest property development by the renowned Roxy Residential Pte Ltd at the core of Lew Lian Vale, Singapore District 19. It stands proudly on a 4 blocks of 5 storey structure that is mounted with astonishing architectural design. It holds 171 mix units of condominium spaces, penthouses and commercial units. This high quality property is featured with a wide array of amenities to provide luxurious lifestyle topped with convenience and grandiose pampering. It highlights great outdoor facilities such as the refreshing pools, jacuzzi, gym, function rooms, playgrounds and much more. Experience the suave cosmopolitan living experience only at Jade Residences! Jade Residences is available for preview by appointment. You may call our hotline or register using the form below to secure an appointment with us. Brochure and Floor plans is available for download.